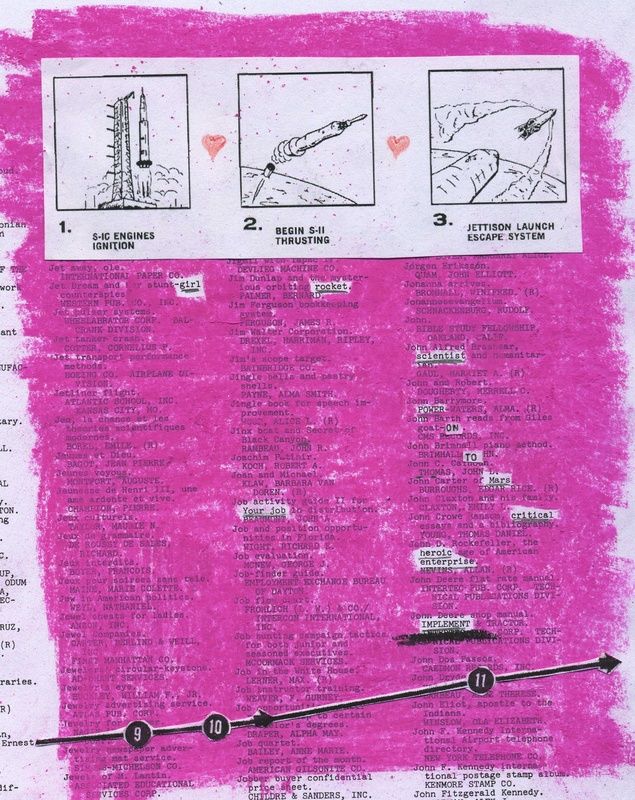 The Library of Congress, Copyright Office’s “Catalog of Copyright Entries, Third Series: 1968” redacted into a “poem.” Graphics from the “Lunar Module, LM10 through LM14, Vehicle Familiarization Manual” created in 1969 by Grumman. 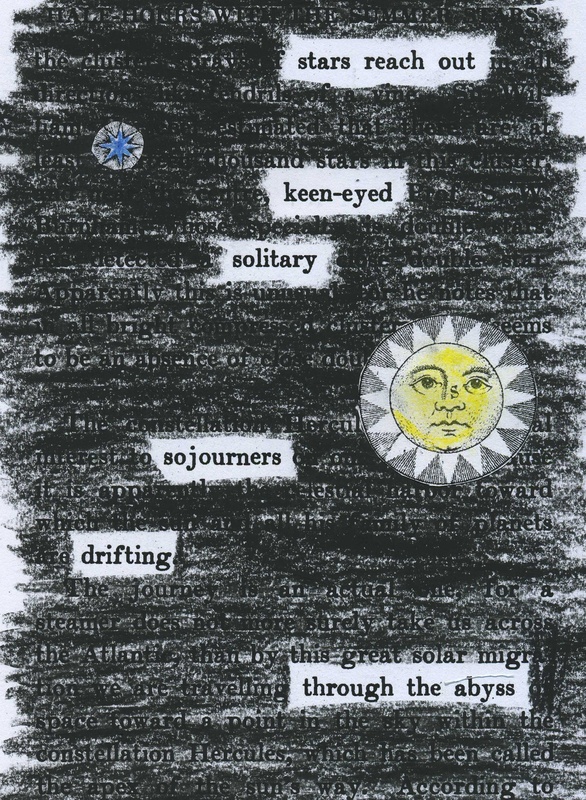 Mary Proctor’s 1911 “Half-hours with the summer stars” redacted into a poem. The graphic elements are fragments from the 1771 edition of Encyclopedia Britannica, Plate XLII. 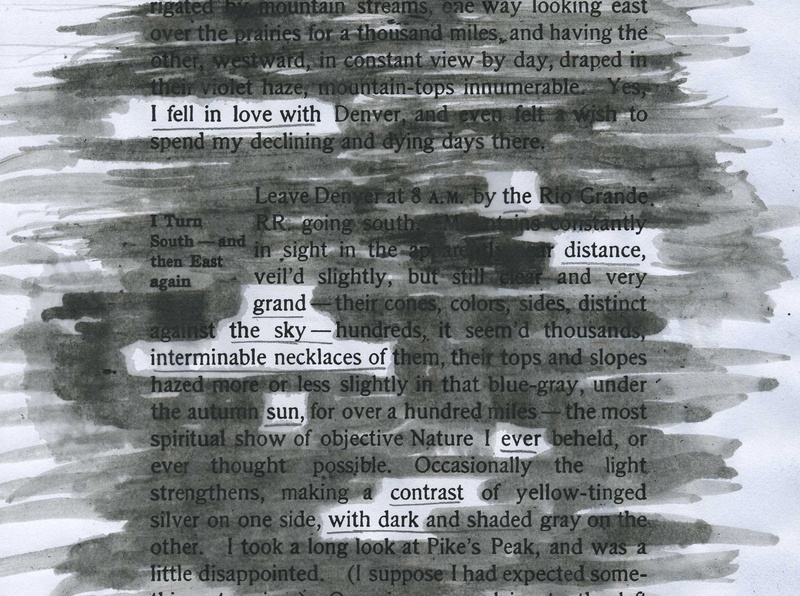 A page of “The Complete Prose Works of Walt Whitman” Volume I (1902) redacted into a poem. 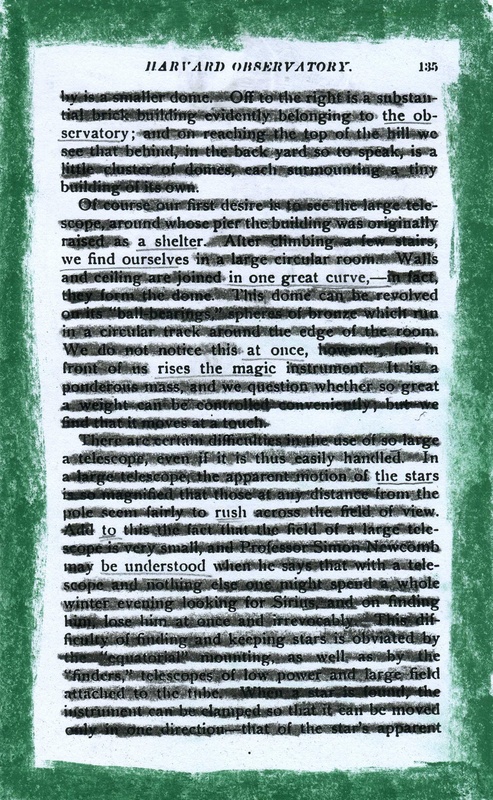 Felix Eberty Wilton’s 1848 “Light and darkness; or, A reply to ‘The stars and the earth'” redacted into a poem. 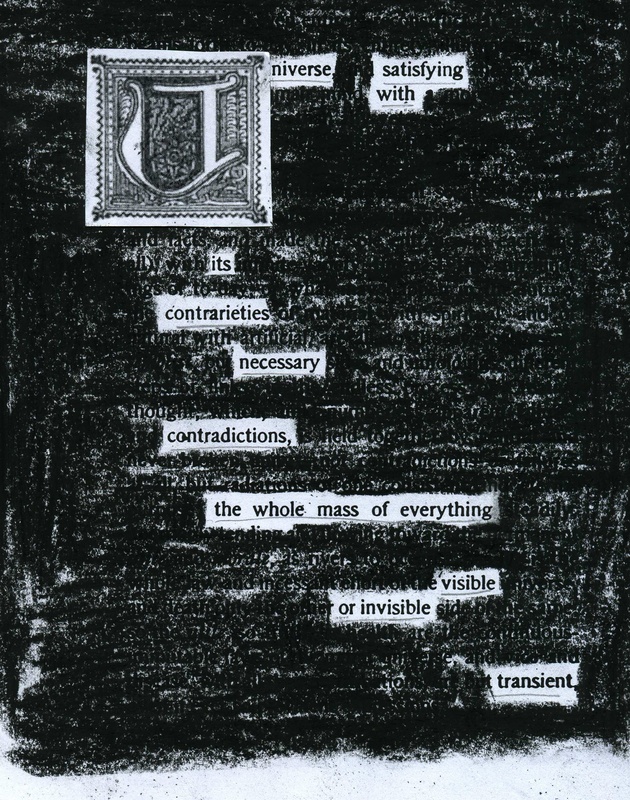 A page of “The Complete Prose Works of Walt Whitman, Volume I” (1902) redacted into a poem about the universe. The drop cap “U” is from J. Wesley Van Dervoort’s “The Water World” (1883). 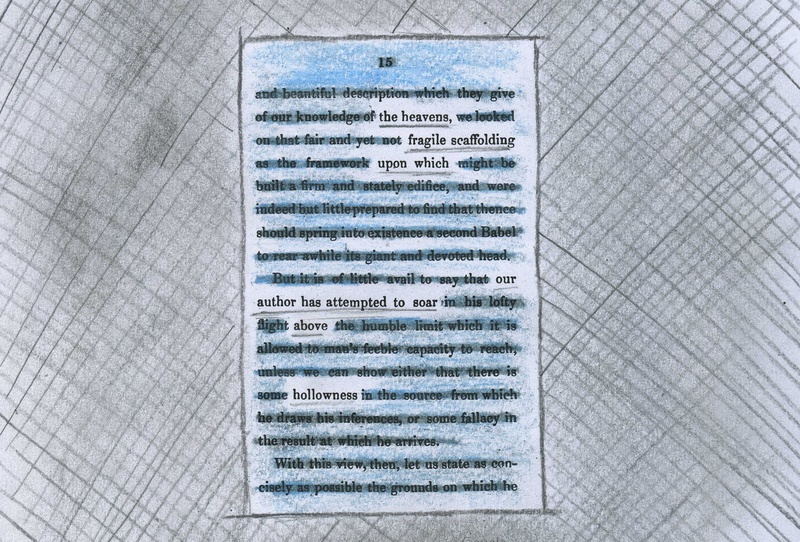 A plate from the February 1839 “Saturday Magazine” melded with text from the adjoining article. 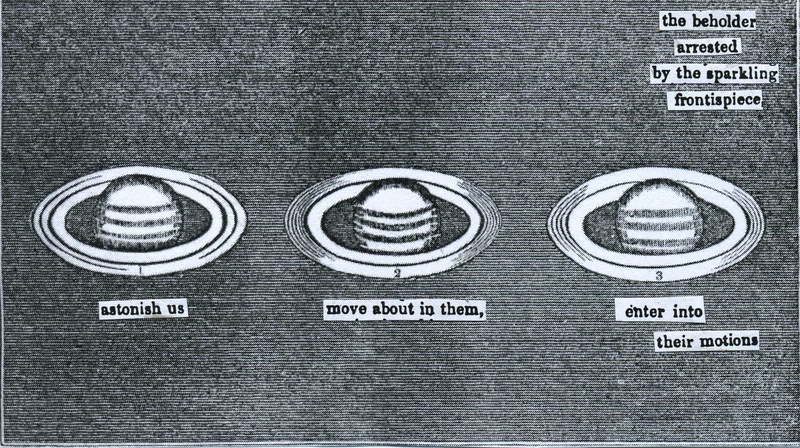 American astronomer Henrietta S. Leavitt (one of Pickering’s “computers”) provided readers a walking tour of the Harvard Observatory grounds in a 1896 book “Cambridge Sketches.” I have redacted her tour into general poem about the wonders of viewing.